How’s your posture? You might have grown up with your mom – or grandma – nagging you about sitting up straight and maintaining the proper posture, as many of us probably did. Sad to say, that kind of nagging might not have always worked out for every child. If you spend practically all your waking hours in front of your computer, you might even be more prone to bad posture. It might not be too late, though. 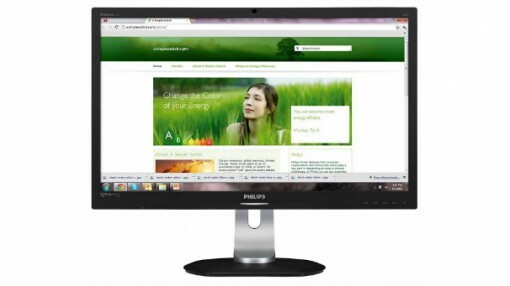 Electronics manufacturer, Philips, is promoting the ErgoSensor – a new monitor – on its UK web site. The Philips ErgoSensor is being touted as the world’s first monitor which can help you pay attention to ergonomics as you complete your eight-hour shift (or for however long you work at your desk). The idea behind the technology are simple. Where you would normally find the web camera on a monitor, a built-in sensor is to be found on the ErgoSensor. This sensor measures data such as optimal viewing distance, the posture of the user’s neck, and behavior feedback as well. Based on the information that is gathered via the sensor, the ErgoSensor can give the user advice. No, it will not give advice like Aunt Abbie does, but it will tell you if you are sitting too close to the monitor or if the angle of your neck is not optimal. Additionally, ErgoSensor is also designed to monitor how long you sit in front of your computer, with the goal of urging you to take regular breaks. Obviously, the bottom line is ergonomics. Philips is also taking the green route with the ErgoSensor by using 65% post consumer recycled plastics for manufacturing the monitor. For now, the 24-inch monitor seems to be displayed only on the UK web site, and no pricing details have been announced as well. To find out more about the technical specifications of the ErgoSensor, visit the Philips UK web site.